Pastors Marvin and Angie Barham want to welcome you to Jubilee Church. Get connected to life giving, divine potential that will change you forever. It is time to redefine the norm. 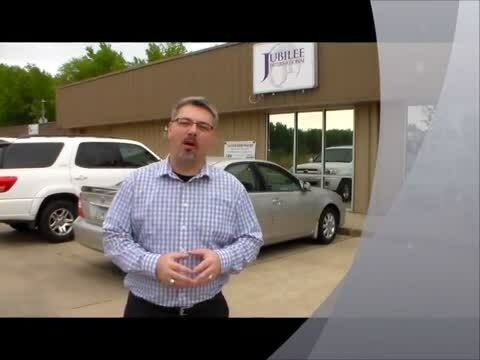 We are located at 24014 North Highway 365, Maumelle, AR 72113. The celebrations begin Sundays 10:30am. For more information email us at jubilee@thejube.org or call us at (501) 476-1333. Connect Class is the first step in our Jubilee Growth Track. In this class you will be able to meet the Pastoral Leadership Team and get answers to your questions about making Jubilee your Church Family Home. In this class you will discovery your Spiritual Gift strengths and where to get connected to grow in your destiny. You will learn about the history, vision, ministries, church government and much more of Jubilee Church International. SIGN UP TODAY! FREE BOOK! Be sure to get your FREE copy of New Beginning by Pastor Marvin Barham when you complete the Jubilee Connect Class for new Jubilee Members. Additional copies can be purchased at Amazon.com or your local bookstore.